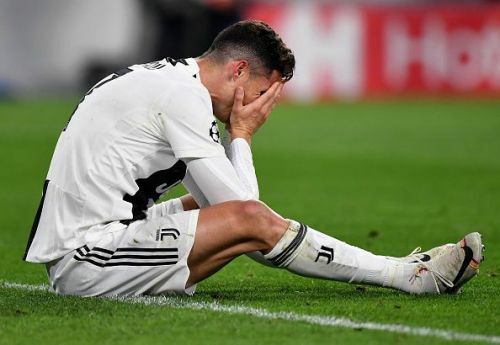 Barcelona captain Lionel Messi reacted to Cristiano Ronaldo's Champions League exit, stating that the exit of Juventus shows the strength of the competition. Barcelona enjoyed a comfortable 3-0 win against Manchester United in the Nou Camp, thanks to Lionel Messi's brace and a stunner from Philippe Coutinho. Ole Gunner Solskjaer and his men had another mountain to climb after their 1-0 loss at Old Trafford in the first leg, but could not pull off another comeback like they did against Paris Saint-Germain. Messi is enjoying another historic season and now leads the Champions League goalscoring charts with 10 goals and in European Golden Shoe with 33 goals so far this campaign. With his brace, the Argentine has scored 24 goals against English sides and broke his goalscoring drought in the Quarter-Finals of Champions League. On the other hand, things don't look as good for Messi's arch rival, Cristiano Ronaldo. Since his move from Real Madrid last summer, Ronaldo has played a pivotal role for the Old Lady, but his exploits were not enough as Ajax pulled off another major upset. The Dutch side dominated Juventus and won 2-1 in Turin to knock out the Bianconeri from the competition. Messi is leading Barcelona on the path to another historic treble, but Ronaldo's fourth consecutive Champions League dream was killed by Ajax. "That tells you everything [about the competition]. Any team is complicated, be it Liverpool or Porto [who Barcelona will face in the last four]." "There are those who deserve, the best, and everything is going to be complicated." Barcelona will either face Liverpool or Porto in the semi-finals of the Champions League depending on the result of tonight's clash.